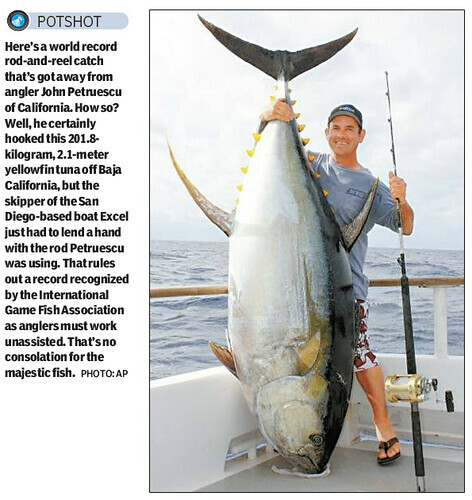 At 445 pounds, that is a friggin huge tuna. So what if it can't go into the record book on a technicality that he had help reeling in the monster fish? The chap got the fish at the end of the day and it is all that mattered.